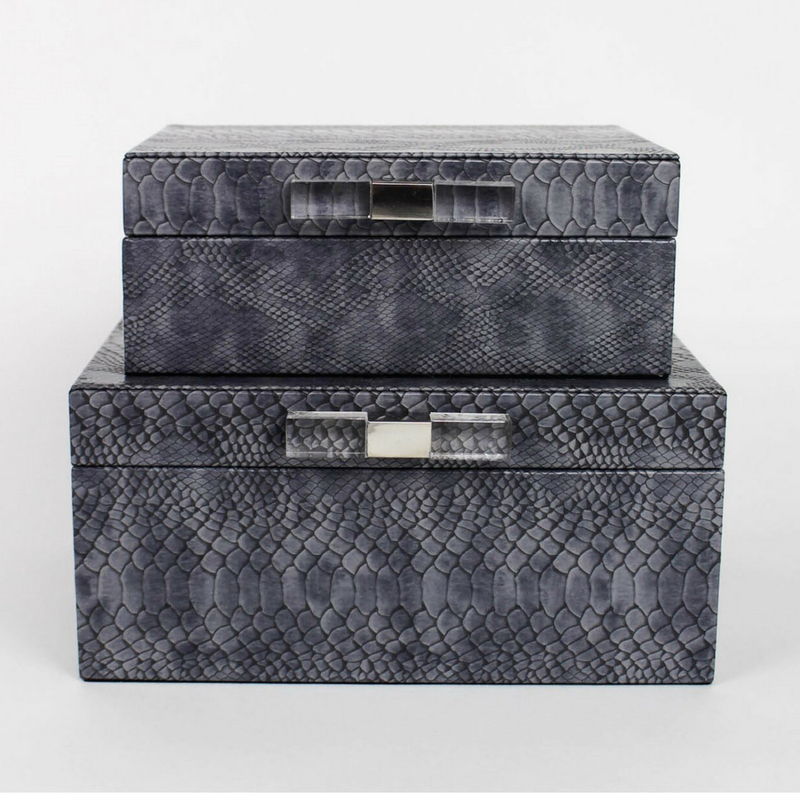 Set of two matching nesting boxes. 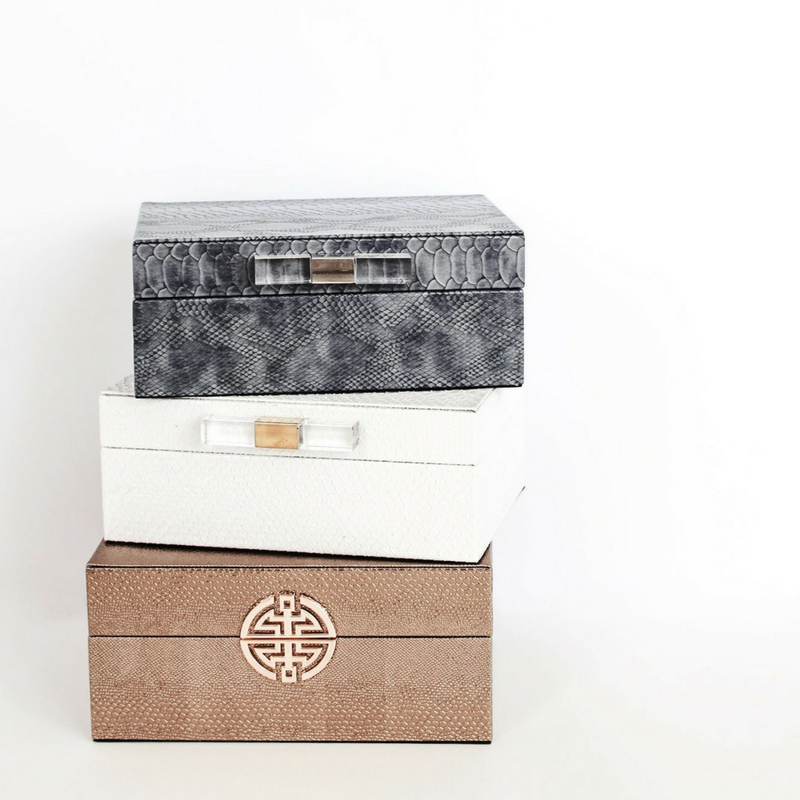 These boxes can be used anywhere in your home to hold small treasures. On your dresser to hold jewelry? On an entry table for keys? You decide. 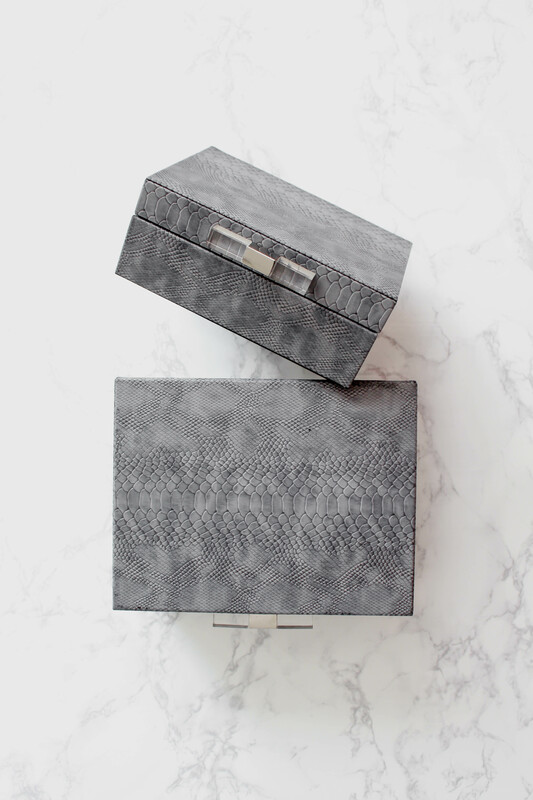 Both boxes are lined with flannel and accented with a stainless steel (and acrylic) knobs. Boxes measure 5" x 10.25" x 8" and 3.75" x 8.75" x 6.25".